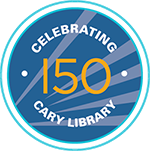 Have you checked our catalog to see if Cary Library already owns this item? Interested in suggesting digital content? Please follow Overdrive's recommendation instructions.